The liberal media would have you believe that the only people voting for Trump are white-trash hillbillies who drink moonshine like it’s water and have intimate relationships with their family members. They would also like you to believe that no minority is going to vote for him, including females. The facts tell a different story entirely, much to their dismay. 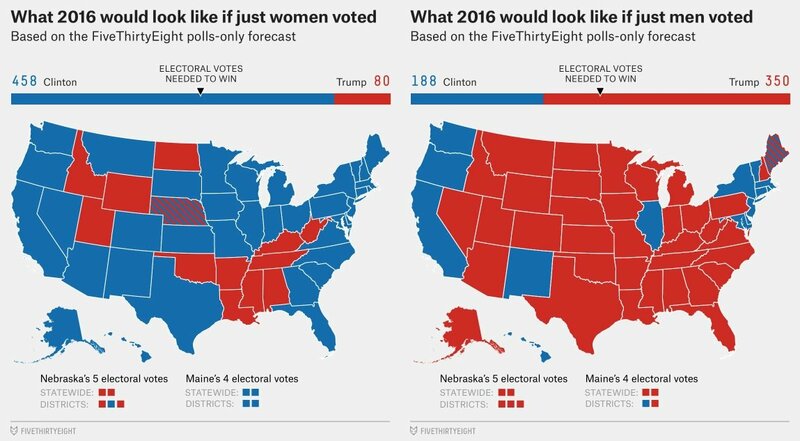 Someone thought they would be clever and try to show that only men (specifically white men) are the ones voting for Trump by throwing together these two maps. 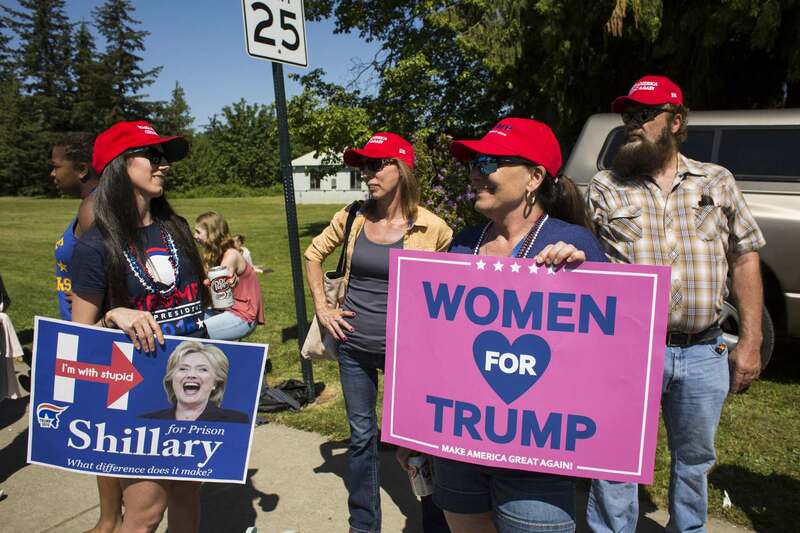 But if you further break down the demographics, it’s clear that women DO support Trump and the left just doesn’t want you to know about it. Kinda makes you wonder why they were trying to divide us without giving us all of the facts, doesn’t it? 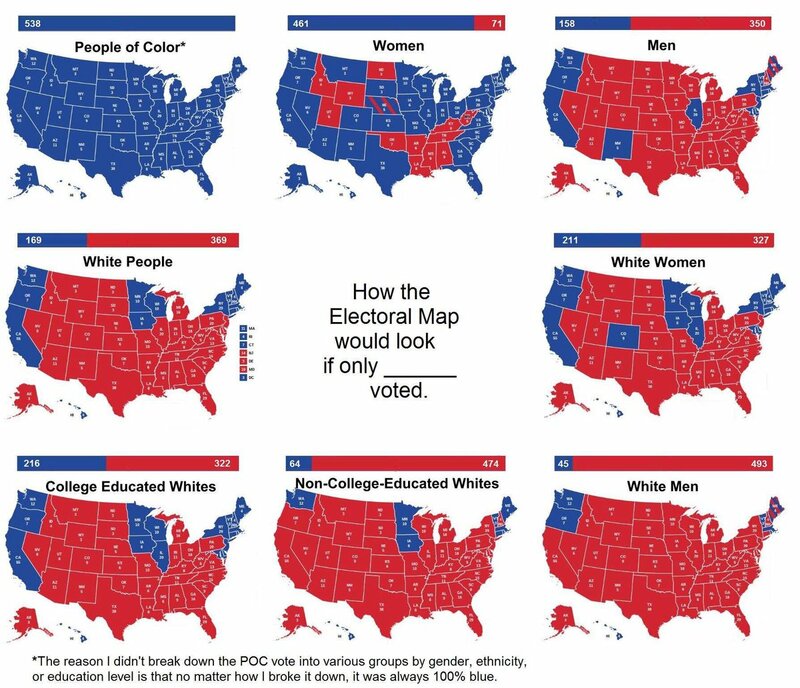 These maps made it clear that the divide between Republicans and Democrats is one of race, not of gender. I realize that this is inconvenient for Democrats, but quite frankly I don’t care. It always feels good to bust apart a false narrative that makes Republicans and conservatives look bad because they just make it so easy.